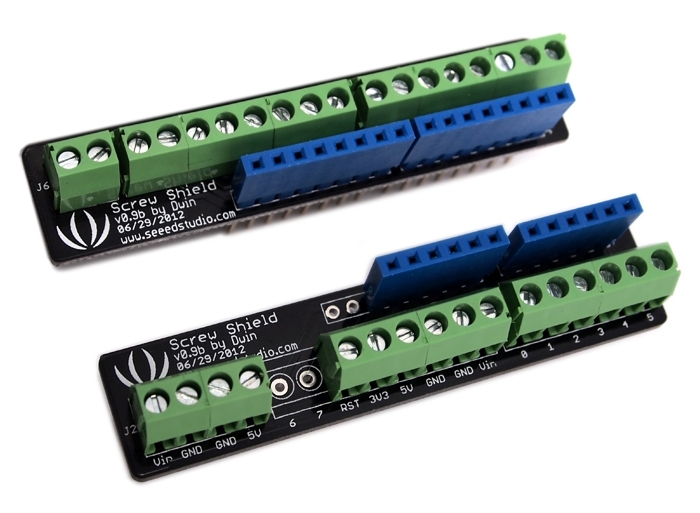 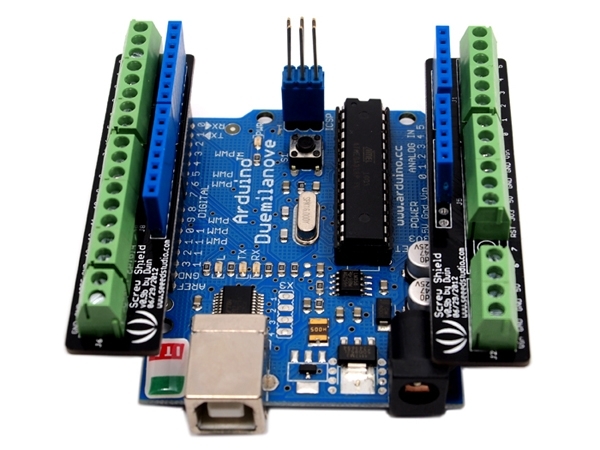 On the digital pins side, it contains 18 terminals: 16 normal terminals and 2 extra GND. 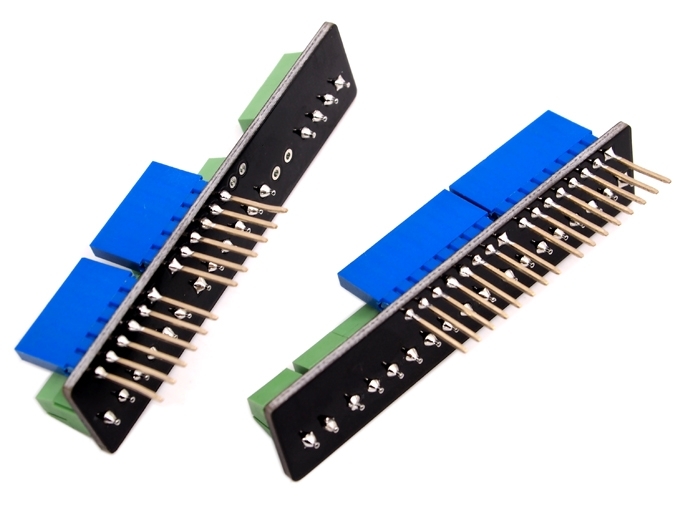 As to the Analog pins side, there are 16 terminals (12 normal terminals, 4 extra terminals for Vin, 2*GND and 5V) and 2 breakout through holes for 2 additional ADC pins. 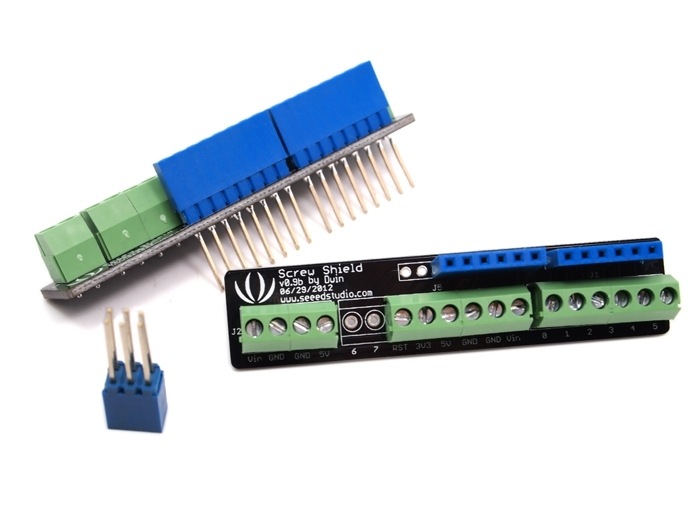 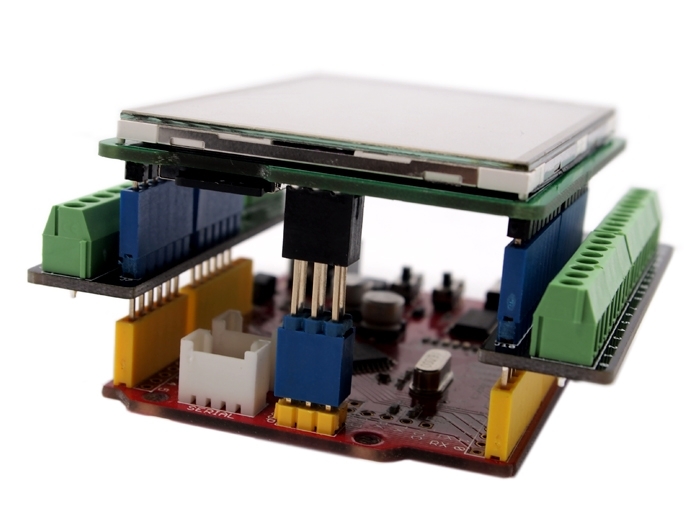 Sweetly, a special extension block for SPI interface is included in this product to make it a truly stackable shield for other shields like TFT touch screen to mount on.